So I've just counted up the entries for the Iconemesis giveaway, and I just want to say thank you to everyone who entered. This is only the second giveaway I've ever hosted and I'll definitely be doing more in the future! 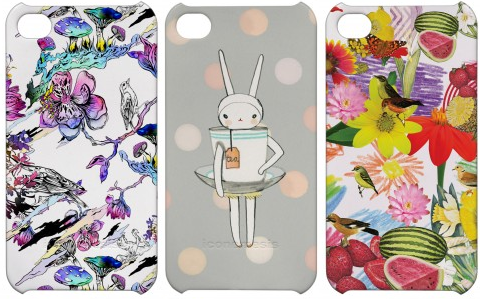 I want to say thank you to Iconemesis too for giving me the chance to give away one of their AMAZING phone cases. Using Random.org I counted up all the votes and verified them by making sure all the requirements were set and the first giveaway entry won! Lauren from Off To Button Moon! Congratulations! I will be emailing you for details and I hope you enjoy your New iPhone case! Omg, I'm so upset I missed this! That bunny case is absolutely beautiful!! I don't even have an Iphone and I want one! !